This post is part of a new series examining the intersection of disability rights and abortion rights. It’s vital that people with disabilities are treated with respect and given the support they need to live with dignity and participate in society. It’s very concerning to see anti-choice spokespeople using the lives of people with disabilities as political footballs, and to see anti-choice myths about conditions such as Down Syndrome making their way into everyday conversation. We acknowledge the genuine fears that people with disabilities have about stigmatisation of disability and erosion of rights. We hope that this new series of blog posts will go some way to addressing those fears. With that in mind, we thought we’d take a moment to address and debunk a particular myth that has been popping up in conversations for some time now. You may have heard commentators saying that there are supposedly no births of babies with Down Syndrome in Iceland, and that this is supposedly because of disability-selective abortion. While mostly confined to anti-choice pseudoscience circles, sometimes these unsupported claims make their way into mainstream sources – examples include a BBC documentary from 2015, and more recently, a speaker at the Joint Oireachtas Committee on the Eighth Amendment. The total number of births each year in Iceland is almost always in the range 4000-5000. So a single baby with Down Syndrome contributes 20-25 to the rate, as reported by the WHO. The rate of 22 in 2012, for example, represents one child (1) [Please see the footnote for more information about how these rates are calculated]. As adults, these people may form relationships, have children. They will find their rights restricted by the 8th amendment, as does every other pregnant person on this island. We will come back to that at a later stage. For now, let’s stay in Iceland. So there you have it: a far more nuanced and realistic state of affairs than that portrayed by anti-choice mythmakers. The experience of Iceland mirrors experiences elsewhere. At the Joint Oireachtas Committee meetings on the 8th Amendment on 22 November, Dr Eva Pajkrt, professor of obstetrics at the University of Amsterdam’s Faculty of Medicine, gave evidence that the number of babies with Down Syndrome born in the Netherlands has remained stable over the past few years, despite increases in the uptake of prenatal testing and the availability of abortion. 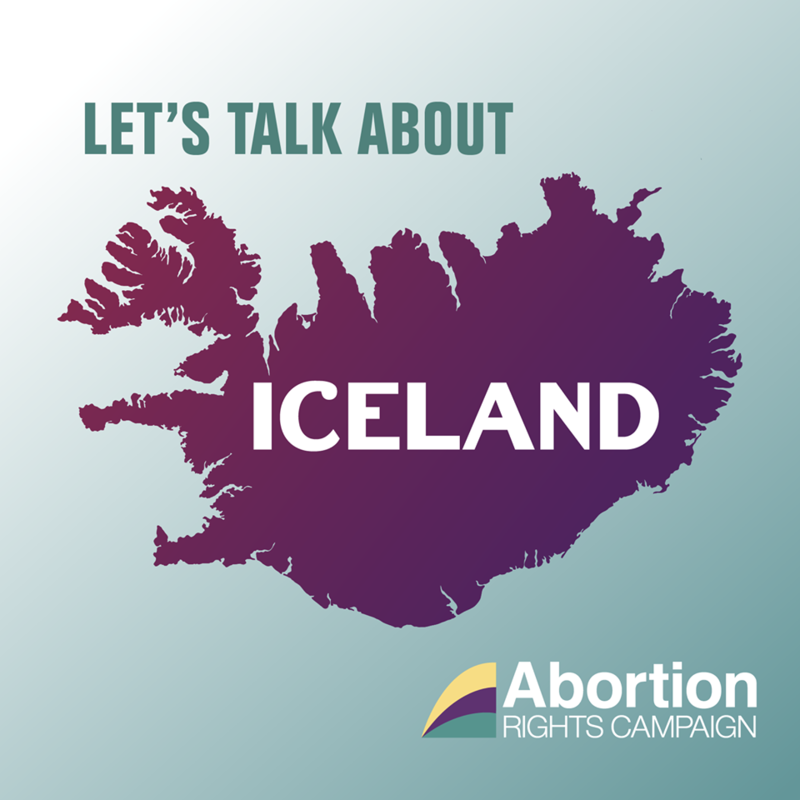 Dr Hjartardóttir’s statement and Dr Pajkrt’s testimony show us that Icelandic and Dutch women think about their lives, their families, and their resources while making their decisions – the way pregnant people do everywhere. The only difference between them and pregnant people in Ireland is the fact that they are able to make their private medical decisions without state interference. In our upcoming posts we’ll talk about Ireland’s current record of supporting people with disabilities, and about some of the fears that people have around prenatal testing. We’ll look at some of the ways Ireland can make sure our future laws and medical practices respect the full variety of humankind. (1) Because the WHO needs to compare rates all over the world, including in countries with high populations and low populations, they convert everything into the same fraction, out of 100,000. In 2012, 4533 children were born in Iceland. 1 of these children had Down Syndrome. Because of the way the WHO needs to compare different countries using the same units, they converted 1/4533 into 22/100,000. Therefore, a single baby with Down Syndrome contributes 20-25 to the rate, as reported by the WHO. (2) Ireland keeps a register of the number of people in Ireland who live with an intellectual disability who receive ‘health’ services (the NIDD), but we do not categorise people according to their particular diagnosis. The 2016 census actually reports far higher figures than the NIDD of people who self declare as having an intellectual disability (over 66,000). removed it, but may need to bring it back again. You gave me inspiration!